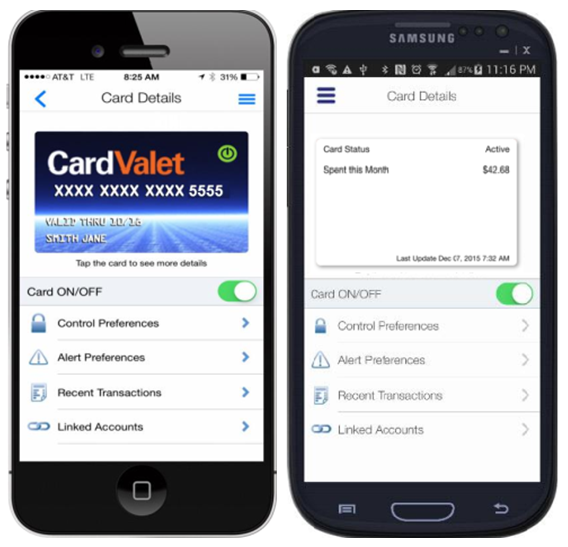 CardValet® is our free mobile app that lets you control how, when, and where your card can be used. 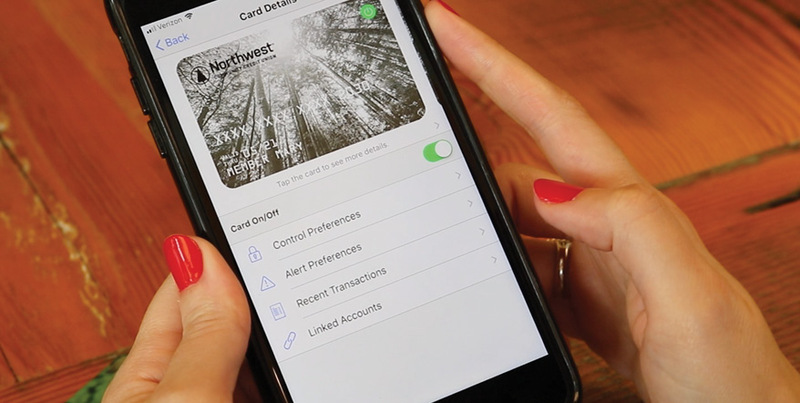 This app ensures controlling your NWCU credit and debit cards is as easy as picking up your smartphone. CardValet works with the most recent mobile operating software as well as two past generations of Android and iPhone devices. If you tap on the image, it will flip over to provide its current status (i.e., Active or Inactive), as well as how much has been spent with the card that month, starting from the 1st. The most important feature of the Card Details menu is the ability to toggle your card on or off. This is useful when your card is only temporarily lost or is recovered later if stolen. You can also use this toggle to prevent fraudulent activity. When the GPS feature is enabled on your device, the app will decline transactions that are not located within the city, state, or ZIP code where your device is currently located. If a business processes their transactions outside of your current location, My Location will not apply to the purchase. Cellular coverage may impact the accuracy of your device’s GPS. 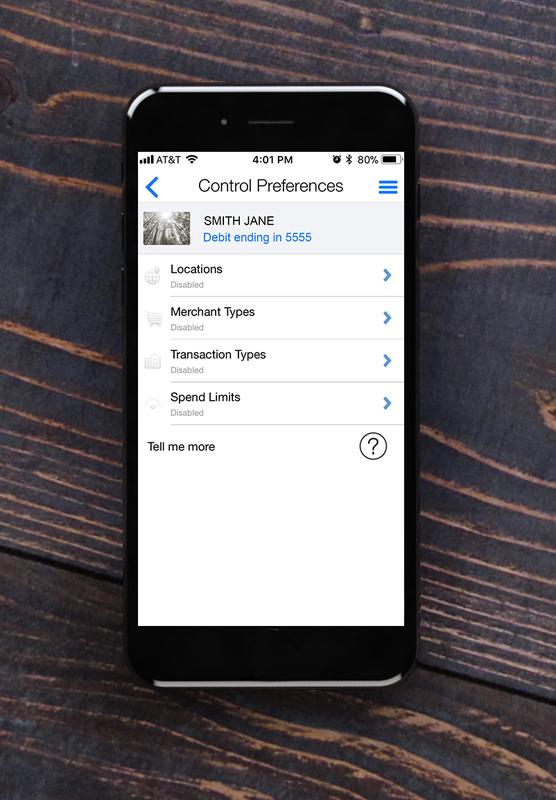 This control lets you set up to three regions where you allow your card transactions to be approved; the portion of the map displayed when you select a certain region will determine where your card will work geographically. Otherwise, this feature works similarly to the My Location option. Transactions run outside of the U.S. present a higher risk for fraud than all other types of transactions. 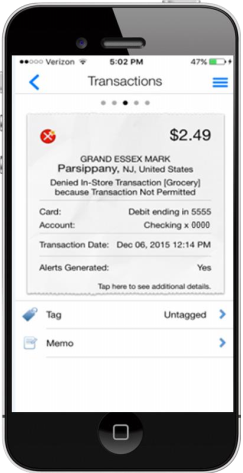 Enabling this feature blocks all transactions by card processors outside of the U.S. Note: Enabling this feature disables My Location and My Region from being selected. If you only use your card for certain types of purchases, CardValet can step in and narrow the type of transactions the card can process. This allows you to specify that your card only works in a store, online, over the phone, at an ATM, or any combination of the above. Any transactions that attempt to clear above this set limit will not process. If there are insufficient details on the transaction, you may not receive an alert, but CardValet will still register it in your transaction history. 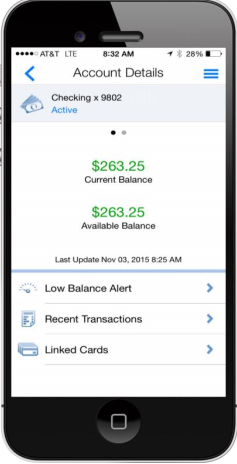 Much like our eBanking mobile app, CardValet displays account balances and available credit after you add your debit or credit card. 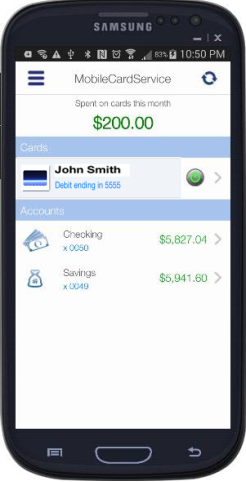 You can access balances via the main screen of CardValet, or by selecting a Linked Account in the Card Details screen.